Frederick Hamel, PhD will present this session of the co-sponsored seminar series "Show Me the Money: Funding for Early Career Faculty". Dr. Hamel is the ACOS/Research, Research Integrity Officer (RIO) at the Omaha VAMC and Professor of Internal Medicine and Pharmacology & Experimental Neuroscience at UNMC. This seminar series is sponsored by the College of Allied Health Professions and the Office of the Vice Chancellor for Research. 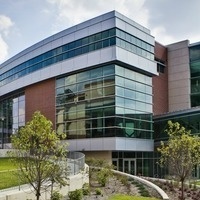 Streaming is available for our off-site colleagues at: https://unmc.zoom.us/j/950153457 The session will also be streamed to UNK HSEC 102.